We started off the morning by taking a stroll through Montecatini which is a resort district. Unfortunately, Javi and one of the leaders had to take a student to the embassy to replace a stolen passport. 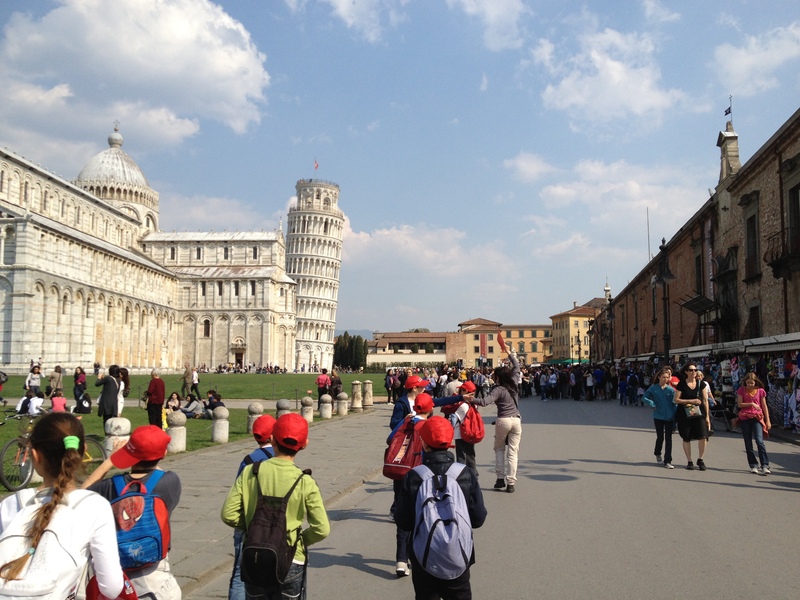 We left for Pisa at around noon via motor coach. No, this isn’t it. We rode this trolly from the parking lot to the tower…. Here’s another one of those images that will be forever stuck in my head. This is what tourists do. Everyone was sticking their arms out and having their picture taken. This is what a lot of the restaurants look like. I took this while eating gelato. 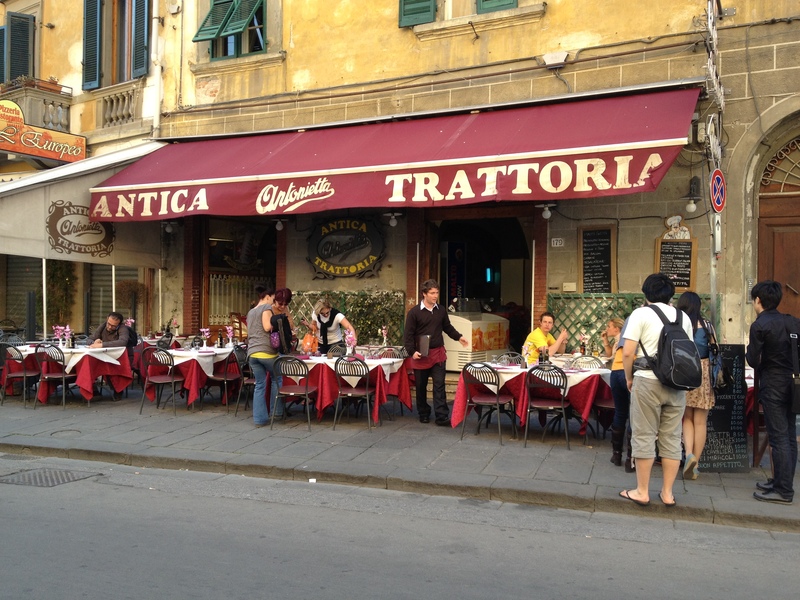 At this point in the trip, we’re eating gelato for appetizers as well as desserts…. That night, we caught a ferry that would take us across the Mediterranean. It was time to say ciao to Italy and ¡hola to Spain. There was a disco on board. Students took advantage and danced the night away. I actually used this time to catch up on my sleep. This was “half-time” for the trip. 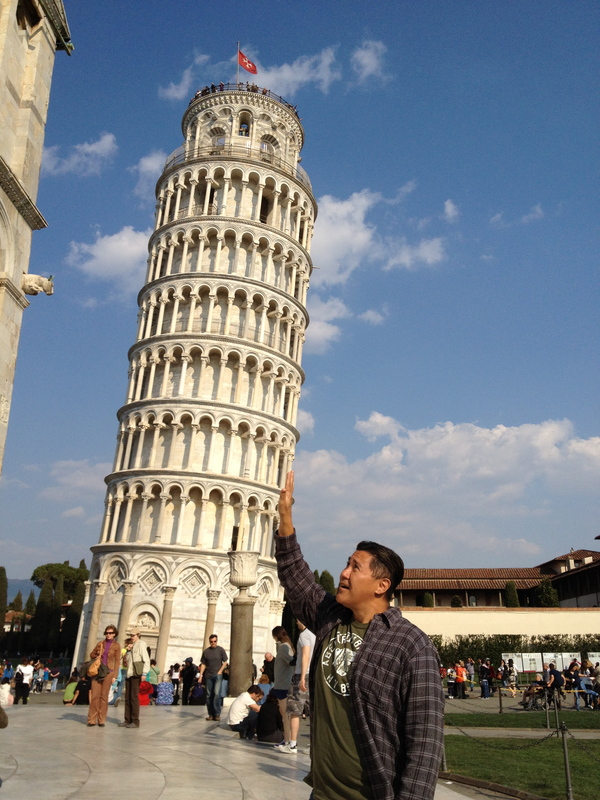 For more Italy photos, click here.